It's a difference you can tell from the moment you sit down-this is not tractor as usual. 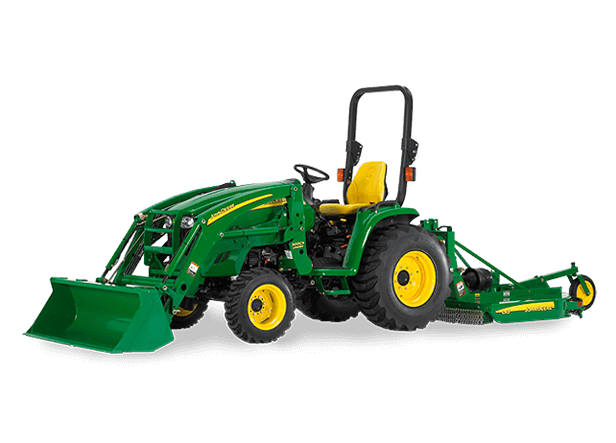 With the John Deere 3000 Twenty Series, you can see that the attention to detail is something special. Start with AutoHST™. This auto-like transmission option for the 3520 and 3720 makes operating these tractors as easy as driving to the grocery store. All you have to do is press a single foot pedal to go forward and shift to reverse using a hand lever. And, with the eHydro™ transmission, performance is never an issue with the Performance Tracking System. It accurately monitors the tractor's functions and systems, giving you instant feedback for quick diagnosis. Throw in additional features like the LoadMatch™ electronic power management system, the Quik-Park™ loaders, and standard 4WD and you have three tractors that are without peers.